Here's a few images from a recent install of Cambria Ella counters. Cambria is a brand of high quality quartz material and a perfect choice for high use areas such as kitchen counters. The island counter has a mitered edge going all around to give the seamless appearance of a much thicker piece of stone. 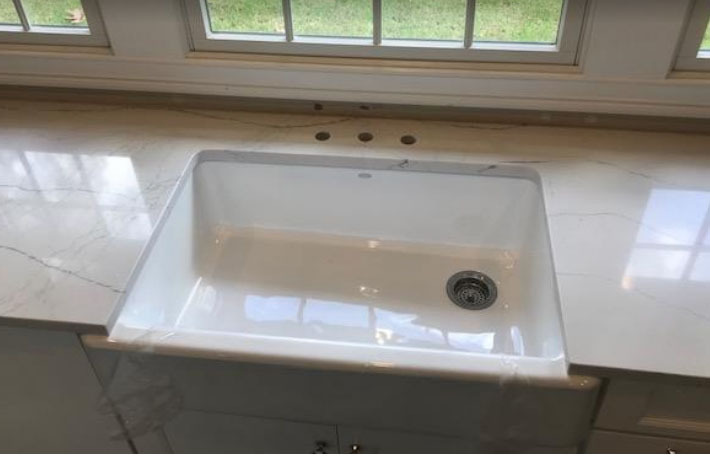 The sink is a fashionable farm sink that is set under the counter top, creating a very sleek & elegant design.